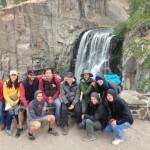 We had our annual group retreat in Mammoth September 18-22. 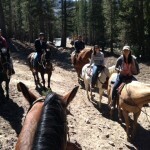 In addition to the evening research presentations, we did some hiking, fishing, horseback riding, and mountain biking. 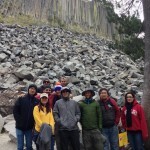 Our research group at Rainbow Falls near the Devils Postpile National Monument. Janarbek teaching Dajung, Alex, Xialin and Jonny the Mongolian way of transportation. 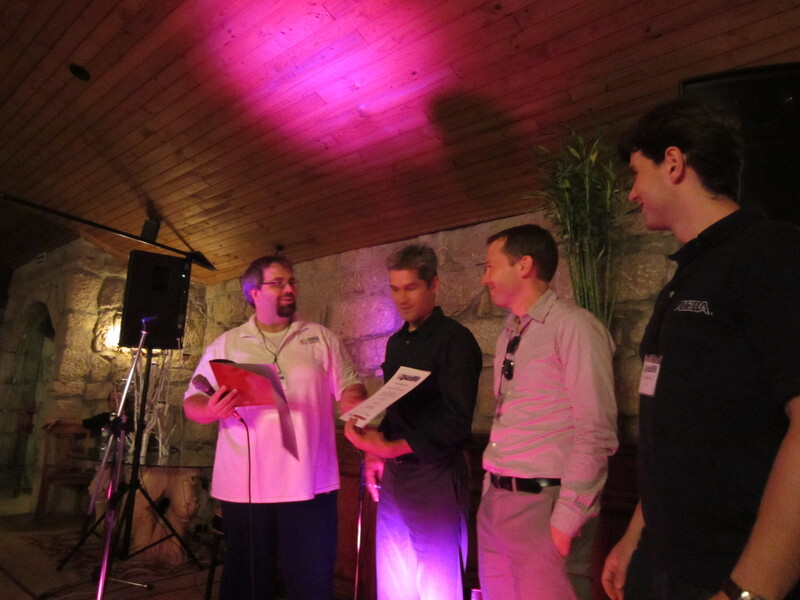 Ryan, Matt, Dajung, and Dustin traveled to Porto to present their three papers at FPL. Matt’s RIFFA paper was the winner of the Community Award. This award is for authors who have made a significant contribution to the community by providing some material or knowledge in an open format that benefits the rest of the community. Our second paper “A Hardware Accelerated Approach for Imaging Flow Cytometry” by Dajung, Pingfan, Matt and UCLA collaborators Dino Di Carlo and Henry Tse got some media attention [1, 2, 3, 4, 5, 6, 7]. Our final paper was “A FPGA Design for High Speed Feature Extraction from a Compressed Measurement Stream” by lead author Dustin and our collaborators John McGarry and Ali Irturk at Cognex provides a hardware accelerated technique for laser line scanning running at over 14,000 frames/sec.